Well, what can you say about this man right here? I know he has said and done some very questionable things in his career, but I won't use this post to highlight those. 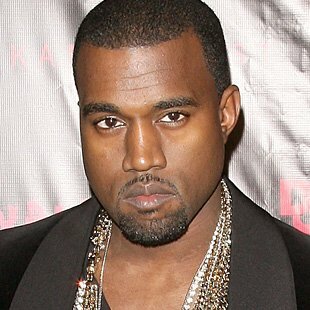 I'm going to focus on his excellent talents behind the boards and the mic, because, let's face it, Kanye West is extremely talented. He just may very well be the best producer to ever grace a mic. In addition to bringing it as far as beats and rhymes goes, his discography speaks volumes and overall it's stellar. Let's take a look! 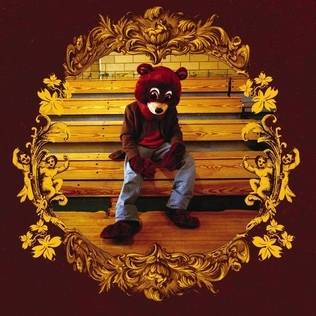 Allow me to begin by talking about "Through The Wire", which may be the best song on this album. Creatively utilizing memorable samples from Chaka Khan's "Through The Fire", he really gained my respect (in addition to becoming a fan) when I found out he recorded this track with his jaw wired shut, as a result of a car accident. If that right there doesn't show a sense of pride in one's work, I don't know what does. It's amazing, just like the rest of this album. A hell of a debut. I feel this album may have the strongest nostalgic vibe with me of all his albums, as it instantly takes me back to 2005, especially the summer. There was a time when you would hear "Heard Em Say", "Golddigger", and "Touch The Sky" in complete succession, true hits. This is one hell of a sophomore album, so the term "sophomore jinx" doesn't apply here. Lyrically and production wise he was still on point, and while it's not better than "The College Dropout", it's damn CLOSE. And yep, it deserved the Best Rap Album Grammy award it won in 2005. Released head to head against 50 Cent's third album "Curtis" on 9/11/2007, Kanye's 3rd album is another album excellent overall. 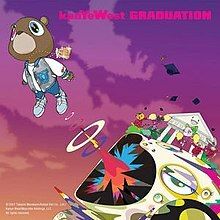 Much like the first two albums, this one is filled with hits that lit up the radio in 2007, going into 2008 ("Can't Tell Me Nothing", "Stronger", "Flashing Lights", and "Good Life"), and you still would hear these on the radio today. The only thing I can say that's wrong with this album is, well, it's not on the level of the first and second albums, but it's still excellent! Well, now we hit Kanye's darkest moment, especially on the music side. And I agree with all accounts that this is more personal album than anything he's done prior and since. 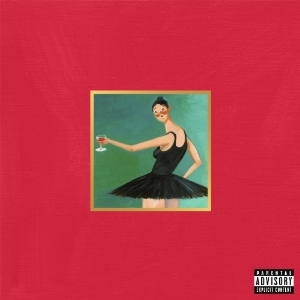 It's not wack, it's not great, it's different, basically the most disappointing album in his discography, respectively. I bought this album when it first came out, and I REALLY anticipated it. I was not disappointed. The "Good Friday" series built up my anticipation, as each song that was released made me want to hear more! Of course he delivered on the production side of things, and the list of guests was as impressive as they come, with a few exceptions, lol. More excellence.